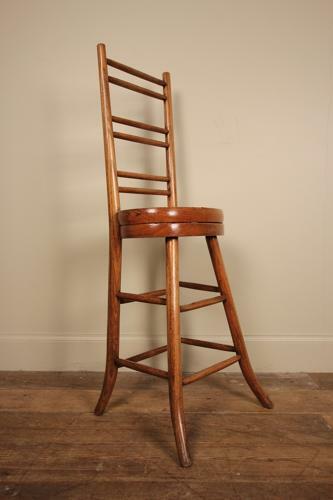 A quirky Regency Ash Child's Chair, having wonderful proportions and colour. Raised dramatic spayed legs adjoined by double stretched rails along with a double seat and a high back. Super original condition throughout. English, Circa 1820.